Philly battle rap legend Tech 9 is dead, according to multiple sources. 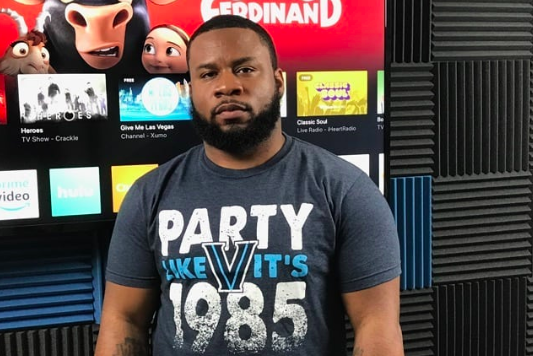 Philadelphia battle rapper Tech 9 reportedly has died, according to friends of the artist. Tech 9, whose real name was Akhiym Mickens, was a pioneer of the battle rap scene, making a name for himself over the last decade competing in more than two dozen battles. The cause of death has not yet been released, XXL Mag reported. He reportedly was 32 years old and is survived by his daughter. Philly rapper Buttah Madison confirmed the news on Facebook Monday morning. The Source described Mickens as a pioneer in rap battle culture for both his lyrics and delivery. Later in his career, Mickens worked as a commentator on the popular show "Champion," cementing him as a leader and voice in the community. When news broke Monday morning about Tech 9's death, there initially was confusion between the Philly native and similarly named Strange Music co-founder Tech N9ne until Buttah Madison confirmed what had happened with Tech 9's family. Other rappers and musicians offered their condolences Monday morning, including Kendrick Lamar, Lloyd Banks and Meek Mill. Meek Mill tweeted, "Rip dawg!!! I’m tired of saying rip." Damn. RIP Tech 9 🙏🏾. Battle rap legend. Nobody had a style like bul.